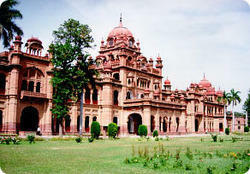 Khalsa College Amritsar which has successfully completed one hundred years of its existence has over this period carved for itself a unique niche on the educational map of the country.The high administrative acumen, unflagging zeal and sincerity of purpose of the teachers has steered the college to attain high academic laurels . Taking every cut and u-turn smoothly and taking a careful tread on the wet and bumpy roads, our buses have always offered safe bus journey to the passengers. CG Travels is a professional travel company having its corporate office in Amritsar, Punjab. Specializes in providing cheap service for Air Ticketing ( International / Domestic ), Tour Packages, Honeymoon Packages and also deals in Rail & Bus Tickets, Car on Rent , Hotel Booking in all over Punjab as for businesses around the world. If you are looking for a most reliable, comfortable and professional travel services, Brightway Travels is most suitable to fulfill your travel needs. - Coordinating and arranging of travel schedules. - Identifying hotels to fit corporate profiles. - Organizing conferences and events. 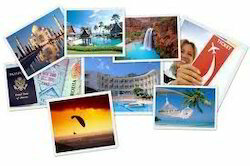 - This program can also be combined with any of our other travel circuits.